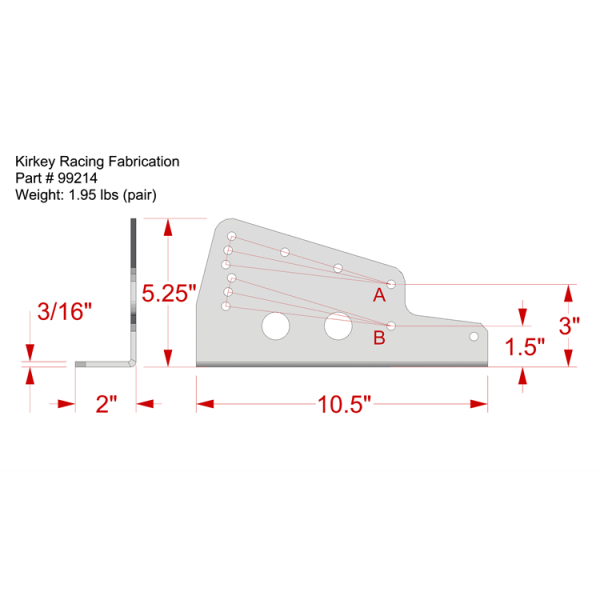 Bolt your Kirkey seat to your Exocet with these seat mounts for optimal driver safety and comfort. Constructed using 3/16″ high quality aluminum with a variety of bolt patterns to adjust the height and layback of the seat. Bolts to the side of the seat and then to roll cage or a structural member on the floor. These side mounts fit the 09, 16, 36, 38, 39, 41, 41V, 47, 55, 65, 70, and 71 Series seats from Kirkey. Never mount to sheet metal. Some fabrication required.